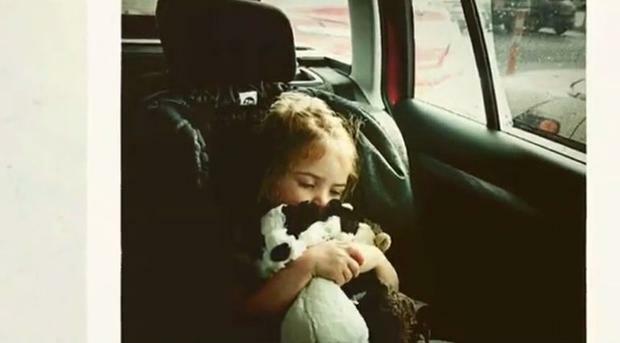 This is the adorable moment a young Irish girl is reunited with her beloved missing teddy. Little Loretta O'Donnell was left devastated after losing her best pal Mr McGinty on a family holiday in Wicklow. Her parents Lesley Ann and Ronan spent weeks searching for an identical replacement for their daughter, but to no avail. They closest they got was an alternative from Japan, but were once again let down, as it was around half the size of the original. After weeks of searching, the devoted parents eventually found an idenitcal teddy online. They even came up with an elaborate story to explain why the bear had been missing so long. They told their daughter that Mr McGinty had been visiting his family in Japan and even brought his smaller counterpart as an extra surprise. Lesley Ann and Ronan got in contact with George Best Belfast City Airport, who were delighted to facilitate the reunion.